Deep gold color; lemon, pineapple, peach blossom on floral nose; yellow apple, pineapple, apricot, vanilla, honey-brown spice on the palate. Dry; big fruit; good acidity (3.65), but not racy or cutting, which goes with the smooth, easy drinking, laid back approach that frames this delicious, pleasuring effort. Wine is 100% chardonnay from two major Central Coast regions—Paso Robles and Monterey counties. One third of the juice fermented in oak and underwent partial malolactic fermentation. Two thirds of the wine fermented in stainless steel. The combined effort happily strikes a balance between oak and stainless, malo and crispness. The wine then spent eight months in 100% French oak with weekly stirring on the lees to create a creamy, lush texture and mouthfeel and likely that honey-brown spice appearance on the finish. Nicely done throughout. 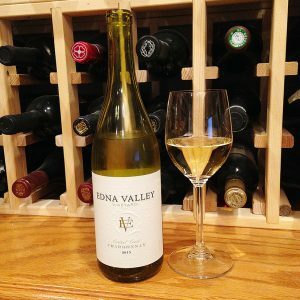 Jack Niven founded Edna Valley Vineyard with a focus on chardonnay in the 1980s, but the vineyard-winery operation can claim roots to the California missions era of the 1700s—as plausibly do so many California vineyards. After a series of partnership efforts this century, the Nivens sold the brand and vineyards to Gallo in 2011, so this wine enjoys wide distribution. The Edna Valley and the Edna Valley Vineyard is located halfway between San Francisco and Los Angeles, just five miles from the Pacific Ocean, just south of Paso Robles AVA and north of Santa Barbara AVA. Edna Valley is roughly bounded by Lake Lopez to the south and Islay Hill to the north and the Santa Lucia Mountains to the west (with the cooling Pacific Ocean breezes immediately five miles west past that). Edna Valley gained AVA recognition in 1982. 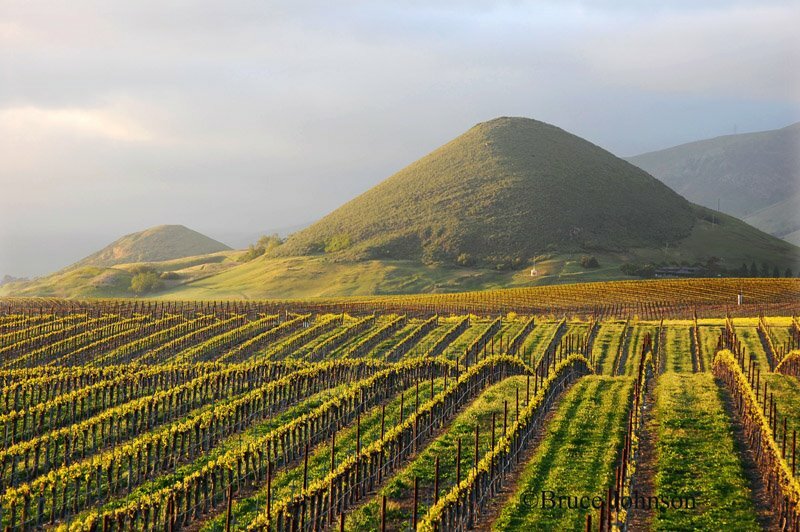 The Edna Valley AVA (part of San Luis Obispo County) and Edna Valley Vineyard lay claim to being the “jewel” of the California Central Coast greater AVA. We will let the various AVAs engage in a battle of the boasts while we enjoy the quality of the wines from all of those AVAs. In that spirit, the Edna Valley Vineyard is just a few miles away from laid-back Pismo Beach in San Luis Obispo. Cool, dude.